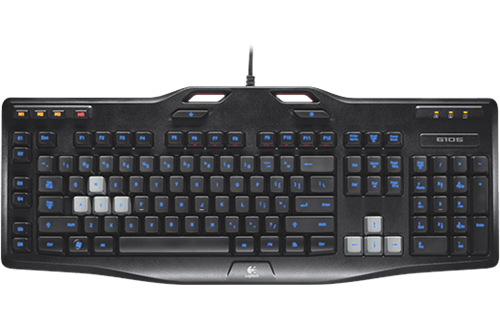 Logitech G413 Mechanical Backlit Gaming Keyboard, Retail Box , 1 year Limited warranty. Logitech G105 Backlit Gaming Keyboard, Long life-LED backlighting, Six Programmable G Keys, Retail Box , 1 year Limited warranty. 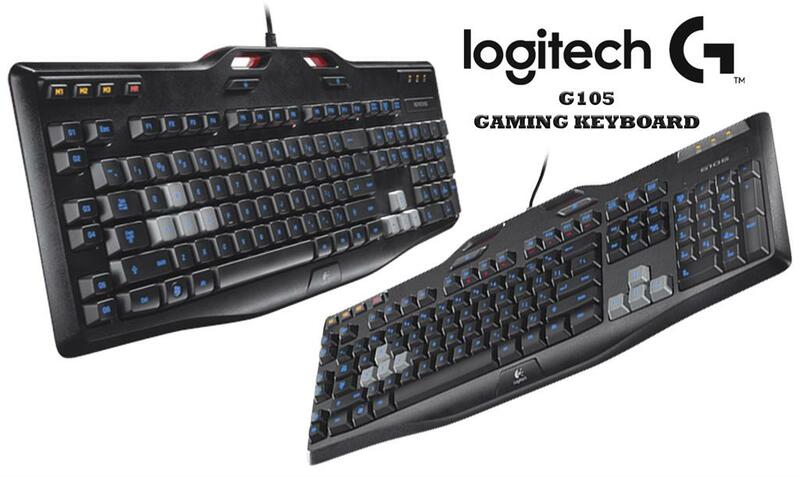 G105 includes six programmable G-keys that make complex actions simple. Three separate modes deliver access to a total of 18 unique functions and macro combinations quickly and consistently. With G-keys, instant access to a variety of customizable functions is just a click away. Assign a G-key to open microphone channels and talk to friends through Ventrilo or to record your play on the fly. Assign a G-key to send predetermined text messages to your team. You can even program G-keys to interact with your Logitech G mouse to change DPI levels on the fly. 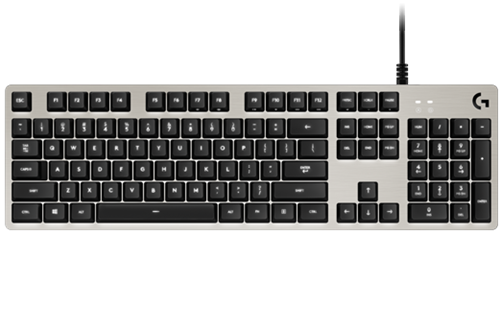 The Logitech K120 Keyboard is comfortable to use, with low profile keys for quiet typing. Its thin black profile keeps your hands in a neutral position, and also lends a sleek and stylish look to your desktop. The keyboard's legs can be adjusted to tilt the keyboard by 8 degrees, and the curved spacebar makes the keyboard even more comfortable to use. Liquid drains out of the wired keyboard, making it more durable when it comes to those inevitable coffee spills. The keys can last up to 10 million strokes, with bright white character that are easy to read and less likely to wear off than on other models. With plug-and-play connectivity, the keyboard can simply be plugged into a USB port and it is ready to use. Combining comfort, style and durability, the K120 will make an excellent addition to your office. 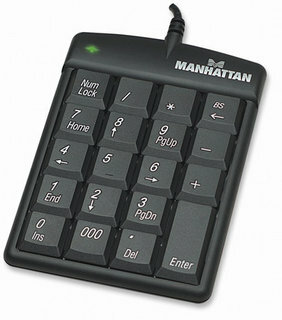 MANHATTAN Numeric Keypad enhances any notebook computing experiences especially when inputting important numeric data. 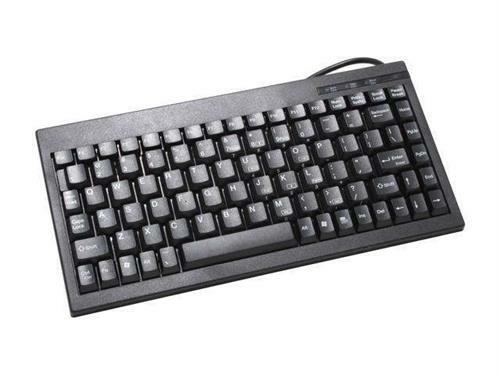 The full-size 19-key layout and scissor-style (X-structure) key switch technology help reduce typing noise, improve response and provide low-profile keystrokes for fast and accurate data entry. A handy backspace key allows swift corrections. The asynchronous number lock function keeps its number-lock mode independent of the computer's keyboard. Users can simultaneously input letters from the computer's keyboard and input numeric data from the keypad. Its USB connection, Plug-and-Play installation and ultra slim, lightweight construction make it easy to pack and travel. The Genius KB110X PS/2 is the latest basic desktop keyboard from Genius. 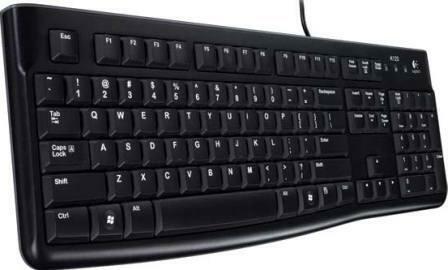 This comfortable black PS2 version keyboard with 104 compatible keys enhances your Windows layout. The low-profile keycap structure provides an excellent touch and the water resistant function prevents against accidental drink spillages. PS/2 ports continue to be included on many computer motherboards and PS/2 version keyboard favored for security reasons in a corporate environment as they allow USB ports to be totally disabled, preventing the connection of any USB removable disks and malicious USB devices. A good design that also offers good value. The MANHATTAN Enhanced Keyboard offers an efficient, basic solution for new systems and replacement applications for home or office use. A stylish ergonomic design and adjustable tilt mechanism offer improved productivity and comfortable typing positions. Durable key switches provide long life and quiet, reliable operation. The UniQue USB Basic 104-Key Keyboard is designed for use with a desktop or laptop computer with available USB ports. The keyboard features a 1.5 meter cord, giving you plenty of flexibility with where you position it. It is designed to function seamlessly on Windows 8,7, Vista and XP. When you are after a simple, black USB keyboard, this keyboard is an excellent choice as a replacement.